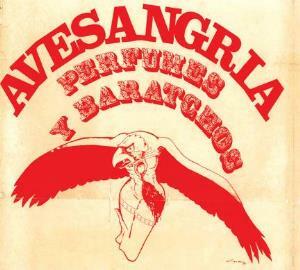 Marco Polo (vocalist) says in recent interview, while praising and thanking the new generation of fans that permit Ave Sangria to continue touring and presenting in important festivals nowadays in Brazil that this generational lap was something trully important on themselves, showing that the conservatives in the 70's were, after all, wrong. This album is a gift for those who follow tha band since the begning and to the new generation of fans (as I guess I am). The quality of the sound is surprinsingly good, given the conditions of the times, and cointains several tracks not present in their debut. Aditionally, great improvisations and instrumental passages shows the quality of this musicians (almost no one continue being a musician). Epics like "Vento VEm" e "Geórgia a Carniceira" goes along with the great and shorts "Grande Lua" and "Sob o Sol de Satã". A great presentation, regarded by the band itself one of their bests, that encapsulates the seventies and deliver to you with what nostalgy have best.